All photos courtesy of Devika and Saloni Kumar. 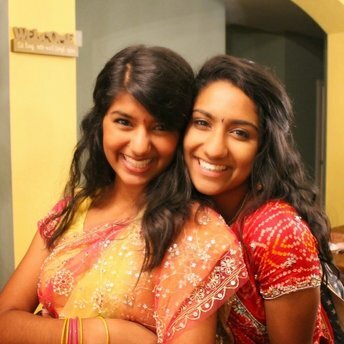 Raised in Texas, sisters Devika and Saloni Kumar spent many vacations throughout their childhood and teenage years traveling back to India to visit their extended family. On these trips, they witnessed many differences between their two home countries – India and the United States. On a more recent visit to Rajasthan, in 2016, they were surprised to discover one of the largest problems impacting young girls and women all over India: a lack of basic menstrual education and hygiene. Saloni said her sister had toyed with numerous ideas for her project, but the experience of speaking to Rajasthani women about the obstacles they faced due to the stigma attached to menstruation, almost nonexistent menstrual education and the lack of access to pads and tampons remained in their minds. From that seed of an idea bloomed The MAHI Project, an acronym for Menstrual Awareness and Hygiene in India. Through this initiative, Devika and Saloni have provided the women in Dityakhedi, Rajasthan a communal low-cost pad-making machine, created by original “PadMan,” Arunachalam Muruganantham. With funds raised in the U.S. with the help of friends and family, Devika and Saloni were able to purchase a machine from Muruganantham’s Jayaashree Industries and arranged for it to be transported from Coimbatore to Rajasthan. Once delivered, a Jayaashree engineer trained them, as well as the women in the area, who would be operating the machine after the sisters returned home to the U.S. The machine would also help another rampant issue in more rural regions of India – unemployment. After the machine was in place, Devika and Saloni facilitated educational conversations about periods and reproductive health in the neighboring communities using Menstrupedia, a platform based in Gujarat that seeks to dispel misconceptions and increase awareness about menstruation through various forms of content. Sharing the Menstrupedia videos, available in English, Spanish, and several South Asian languages, the sisters were able to create a safe space for open discussion where participants could ask questions that they never had a chance to have answered before. Over 100 women, collectively, from five villages around Dityakhedi, Rajasthan, volunteered to attend these meetings. Though the conversations were helpful to the women in the region, the sisters’ vision for the machine was not being carried out in the way they had hoped. Through their family, they found a second home for their project – a girls’ school in Malappuram, Kerala. Girls at the school, participating in a program similar to a national honors society, expressed their interest in bringing the effort to their community. The school was located in a low-income area, and the neighborhood residents were survivors of abuse and domestic violence. Having accomplished one successful project, they aim to set a model that they can reproduce in other areas of India where the project is needed. For now, Devika and Saloni are the only ones comprising the MAHI team, but they receive support from their family. With hopes of expansion, they said they also are aware of the difficulties of adding new team members in the U.S. Because much of the process involves working on-site in India, it is a commitment that not every individual can make. Their main goal is to continue to raise awareness and funds in the U.S. and create their own space within the Austin nonprofit community. With increased recognition of the issue, they hope that there will be more conversation on the topic, not only with women but with men as well. For those who want to help in more active ways, the Kumar sisters recommend visiting their website where links to other international efforts with a similar purpose are available. With movies like “PadMan” and initiatives like Brown Girl Magazine’s #BleedingLove campaign contributing to the cause, the two believe that change is possible. Devika Kumar ended up earning the Gold Award she had aspired towards since she was a young scout and was named one of the ten 2017 Girl Scout National Women of Distinction. Both sisters also received service medals from the governor of Kerala for their work at the local school. However, their true motivation comes from the girls they have met and continue to impact through this experience. 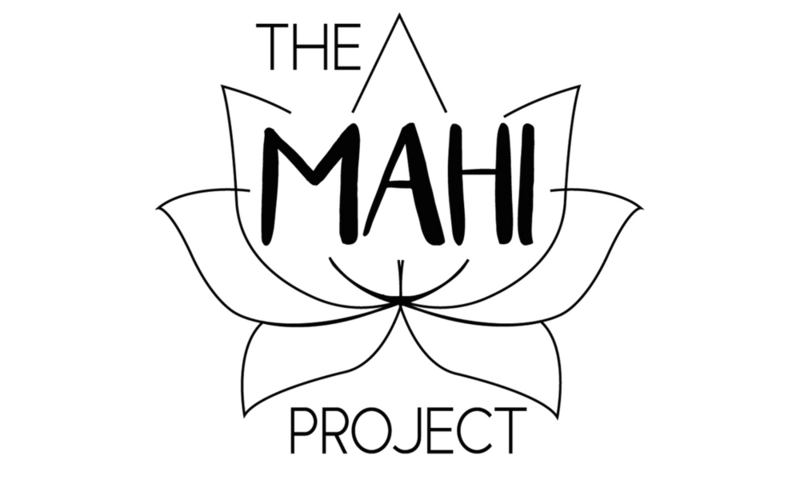 To read more about their work and support Devika and Saloni’s initiatives, you can visit The Mahi Project’s website here. Gabrielle Deonath is a New York-based writer with a passion for telling stories through journalism and creative writing. Through her writing, she hopes to give a voice to those without a platform and to highlight unadulterated representations of minorities. 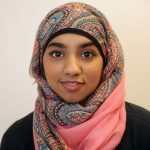 Her work has been featured in publications, such as VirtualMosque.com, SISTERS Magazine, The Island Now, and Survival of the Hardworking, a charity anthology. To read more, visit her blog at hijabdiaries.com.